Last week my neighbor’s six-year-old granddaughter complained about not feeling well and said she didn’t want to go to school. (That was a red flag because she loves kindergarten.) Her symptoms escalated until she was hospitalized with paralysis and had difficulty breathing. 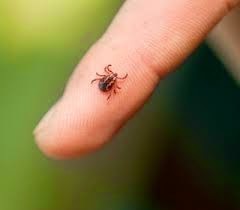 The medical team was perplexed until someone noticed a tick on her scalp. It was like a miracle because after removing the tick she rapidly improved and within 24 hours was a normal, happy little girl again. Have you ever heard of such a thing? I certainly hadn’t, but if you are reading this, you just might save a child’s life this summer. How could anything this tiny cause so much trouble? Turn off that big screen and turn on outdoor games! Choose two people to hold the rope. The other players form a straight line and take turns jumping over the rope. The rope begins on the ground, but after everyone has had a turn, it is raised a few inches. If a child’s foot touches the rope, he or she is out of the game. Continue raising the rope until there is just one child left who can jump the height. *A similar game called “school” can be played. When the rope is on the ground it is called “kindergarten.” Each time the rope is raised, it is called “first grade,” “second grade,” and so on. Have the children line up single file and try to jump over the creek one at a time without stepping on a rope. After every child has jumped, move the ropes a little farther apart to make the creek wider. Continue moving the ropes farther apart and letting the children jump over them. When a player can no longer jump over the rope, they must stand to the side of the game and be cheerleaders. The object of the game is to see how far the children can jump. *You can play a similar game by drawing lines in the sand or dirt. Divide the class into two teams and have them form two lines about 30 feet apart. Give each child a number by having them count off. (Two players on opposing teams will have the same number.) The teacher/adult stands between the two teams, calls out a number, and throws the ball in the air. The first child with that number to catch the ball wins a point for their team. Have the children hold hands and stand in a long line. Hold the child’s hand at the front of the line and move them in zigzags, spirals, and all around as the others follow behind. Two lines are draw approximately 40 feet apart. The children are the “chickens” and line up behind one of the lines. One child is the wolf and stands between the two lines. The wolf pretends to be a chicken and says, “Cluck, cluck” and flaps his or her arms. But when the wolf shouts, “Wolf,” all the chickens must run to the other line. If the wolf tags them, they must become wolves, too, and help the wolf catch the other chickens. The game continues until all the chickens are caught. The last one caught becomes the wolf for the next game. *A similar game called “sharks and minnows” can be played. Have the minnows get behind a line as the shark tries to catch them when “shark” is called. Select two children to hold the broomstick at chest level. The rest of the children form a single line and take turns wiggling under the broomstick. If they touch it, they are out of the game. The game continues as the broomstick is lowered each time. When only one child is left, begin the game again. Ask children to interview their parents to find out what games they played in school. I'VE GOT THE WHOLE STORY IN MY HAND! Good readers are active readers and they are always looking for information. Prompt children to recall details by singing this song before you read a book. You will need large craft sticks and a sock for this project. Write a different story element (characters, setting, problem, resolution, etc.) on each stick with a marker. Place the sticks in the sock and throw the sock over your shoulder before you begin to read. It will be a reminder to your class to focus on those things. After reading the story, let different students choose a stick and tell that part of the story. *Vary the sticks by adding author, illustrator, title, beginning, middle, end, etc. or who, what, where, when, why. Graphic organizers give children a “picture” for their minds. Go to readwritethink.org/materials/storymap/ for ideas about story maps. These are some games my kids enjoyed. What kind of games do your students like to play? The team calling the chant holds their hands out in front of them with their palms up. The child called proceeds down their line giving each player “five” by slapping their palms. If the child who is “it” slaps the palms and then slaps under their palms, that child chases “it” back to his or her original team. If “it” is caught, he or she must return to the opposing team, but if not, the chaser must joint “it’s” team. The game continues with teams taking turns calling players from the opposite side. Stand in a circle and hold hands. Place the ball inside the circle. Children try to kick the ball and keep it inside the circle. If the ball goes out of the circle between two people, then both people are out of the game. If a player kicks the ball too high and it goes over someone’s head, then the player who kicked the ball is out of the game. The game continues until there are just one or two players left. Cat and Mouse This game is old as the hills, but my kids loved it! On a given signal, the “cat” must chase the “mouse.” They can enter or leave the circle only if the other players hold up their hands and form an arch. When the “cat” catches the “mouse,” let them choose classmates to take their places. *Change the characters for different seasons. You could have the farmer chase the turkey, the witch chase the bat, etc. One person is chosen to be the leader. The rest of the class marches behind the leader and does just what the leader does. The leader can walk, hop, run, skip, wave their arms, go under something, slide down the slide, and so forth. After several minutes another child is chosen to be the leader. Draw a hopscotch design with chalk on a paved surface. Write letters in each section for the children to identify as they hop and play. *You could also write numerals or words on the hopscotch. Ask children to bring board games from home and then play them outside under a shady tree. Relays are a super way to develop cooperation, self-regulation, physical skills, and teamwork. Divide the children into teams with five or six players on each. Have the players line up single file behind a line and run one at a time to a designated point and back. The first player tags the second player, who then runs the distance. The first team to have all players run is the winner. 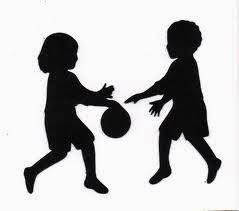 Ball Relays– Have the children pass a ball over their heads and under their legs. The last person runs to the front of the line and continues passing over and under. When the first person is in his or her original position, their team wins the game. Relays where children must dribble a ball, kick a ball, or throw a ball into a target can also be played. Quick Change – Prepare bags with a shirt, pants, and hat for each team. The first player puts the clothes on, runs to a designated point, takes the clothes off, then runs and gives the clothes to the second person. Pig Relays - Move the ball with your nose. Movements- Have children hop, jump, skip, gallop, walk backwards, or do other movements. Toesie Relay – Have the children take their shoes off, pick up a peanut with their toes, carry it to a basket, and drop it in. Potato Relay – Ask the children to carry a potato in a large spoon without dropping it. Balloon Relay- Have children run with a balloon to a chair, then sit on the balloon and pop it. Indoor Review Relays – Children can answer math questions, write words on the board, or perform other academic skills. I think I’m feeling “end of year” fever just like you and your students. They’ve worked hard all year, so let’s just PLAY! Every once in a while you need to stop and remember that you might have played tag or relays when you were a child, but have the children in your classroom ever played those games? *Stoop Tag – Children stoop down on the ground when they are tagged. *Cartoon Tag – Children must name a cartoon show when they are tagged. *Shadow Tag – children must freeze when “it” steps on their shadow. *Sticky Tag – Children must hold the part of their body that is tagged. For most of you Memorial Day means that summer is here and it’s time to get out those white shoes, the sprinkler, and the grill. To tell you the truth, I really didn’t know much about Memorial Day until I did a little research on the internet. I was particularly touched by this poem I found. Here’s the first verse and the last verse. I hope this day is a happy one for you and that you’ll take just a moment to remember those who have enabled us to be happy and safe today and every day! I'm going to call my 94 year old friend who served in WWII and tell him I appreciate him. Check out this website to learn more about Memorial Day. Happy, happy Memorial Day weekend! Remember last January when you thought you'd never been warm again? Time to pack a picnic and enjoy the sunshine! I guess we’ll row across it. It’s got a picnic bench. *Let children make a map showing the different places they passed on the way to the picnic. *Talk about healthy foods. Give children a lunch bag, grocery flyer, glue and scissors. Have them cut out foods and pack a healthy lunch. *What kind of foods are good to take on a picnic? Why? What would happen if you took spaghetti or ice cream? 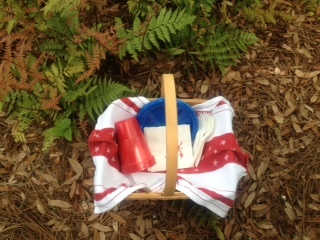 *Prepare a dramatic play kit for a picnic with a tablecloth (or towel), cups, plates, napkins, and plastic cutlery. *Brainstorm all the fun things you can do on a picnic. You can even recycle newspapers and catalogs to create math activities! Can you find the numbers 1-10, cut them out, and them glue them in order? Write numerals 1-5 and cut out sets for each one. Cut out scores from the sports page. Can you tell which is more and which is less? Cut out two pictures. 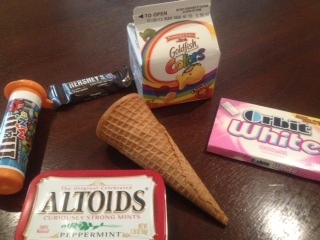 Make up a number story based on objects in each picture. Can you find a picture of a square, triangle, or circle? Can you find pictures of solid (3-dimensional) shapes? Fold a sheet of paper in half. Cut out objects that are alike and glue them on the same side. Can you give your sorting rule? Have I got your creative juices going? What else can you add to this list? Use these ideas now or "recycle" them next year in learning centers! Make a bookmark from a 2” x 8 ½” piece of construction paper. Cut out words you can read and glue them to the bookmark. Cut out verbs and make a collage. *You could also make a collage of adjectives, adverbs, high frequency words, and so forth. Cut out a picture. Can you tell two facts about the picture? Can you give an opinion about the picture? Cut out a picture and write a story about what you think will happen next. Cut out a picture of something that is pretend/fiction. Cut out a picture of something that is real/nonfiction. Can you explain the difference? Cut out comic strips and cut them apart. Can you put them back together and retell the story? *Can your friend put them back together in correct order? Find a picture and write something about it. I'VE GOT "NEWS" FOR YOU! As a follow-up to the rain hat story on Tuesday, I've come up with learning activities you can do with old newspapers, magazines, and catalogs. Perfect to keep those kiddles busy the last few days of school! But, also tuck these ideas away for next year when you need a center idea that relates to standards! *Make the activities more difficult by having children label pictures and write sentences. Younger children could just cut out pictures. *Many of these projects would also be good for two children to do together. Make sure they both sign their names on the paper when they turn it in. Fold a sheet of paper into fourths. Cut out two pictures of people, two pictures of animals, two pictures of places, and two pictures of things. Can you label your pictures? Cut out an interesting picture. Write words that describe the picture. Cut out a picture of something you like and write about it. Write the letters in your name down the left side of a sheet of paper. Cut out words or pictures that begin with each letter and glue them next to the letter. Make a T-Chart. Cut out pictures of things you want and glue them on one side. Cut out pictures of things you need and glue them on the other side. Find an interesting picture and cut it out. Fold it in half and then cut on the creased line. Glue one half of the picture to a sheet of paper. (Give the other half to a friend.) Can you draw the missing half of the picture with markers and crayons? Can you think of a title for your picture? 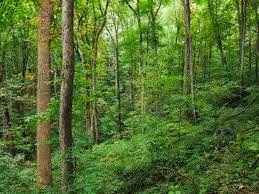 Sometimes we can’t see the forest for the trees. Sometimes in education we perseverate and focus on skills so much that we lose sight of the whole picture and the whole child. This issue started two weeks ago when I was in Indiana and several teachers came up to me at lunchtime. They shared that in their centers/stations they had to post the standard the children were working on, and, if asked, the child was expected to respond what they were doing in the center. It’s amazing to me how different districts are interpreting and implementing the CCSS…and it’s also very frustrating!! Rarely does learning take place in isolation. There are a myriad of cognitive, physical, and social/emotional factors involved in any learning experience. For example, let’s just take a look at some nursery rhyme puppets that I might place in a center. Couldn’t all of these standards apply? These same teachers told me that the child had to produce “evidence of learning at each center.” WOW! We’re going to kill a lot of trees with all that paper and pencil work. Is it really necessary to document every little thing? Is that going to improve learning in the long run? However, my role is not to question why or criticize. My role is to help you and that is what I intend to do! I’ve already started working on specific center activities that you will be able to use next school year. The crazy thing is that we are all obsessing about Common Core State Standards…while many states are rethinking and questioning these. I tell teachers it’s like we are trying to build the plane as we are flying it. WE DON’T KNOW!!! We don’t really know if these standards are going to improve education in America and make children more successful in the future. I adapted this “Rain Hat Story” for teachers. Hope you’ll enjoy it! Once there was a very creative and resourceful teacher. There was a huge thunderstorm one night and when she got to school the next morning the whole classroom was flooded. The only thing left were newspapers on the top shelf. So, the teacher gave each child a newspaper and they looked for words they could read and talked about the pictures. After a while she realized the children needed some exercise, so they turned the newspapers into rain hats so they could go outside. The children had fun wearing their rain hats, but then they heard a “RRRRRR” sound coming down the road. It was a fire truck, and the teacher showed the children how to turn their rain hats into fire helmets. The children even used their fire helmets like scoops to help put out the fire. All the water reminded the teacher of boats and pirates, so they turned their fire helmets into pirate hats. Now, all pirates need boats, so they turned their pirate hats into boats. They went floating down the stream and ran into a rock and the front of their boat came off. They went floating down the stream and they ran into a tree and the back of their boat came off. They went floating down the stream and they went under a bridge and the top of their boat came off. Anybody else would have been a nervous wreck, but that teacher knew the children all had life preservers, so they put them on and swam safely back to school. And when they got back to school they drew pictures and wrote stories about all of their adventures! If you found a genie in a bottle, what would you wish for? 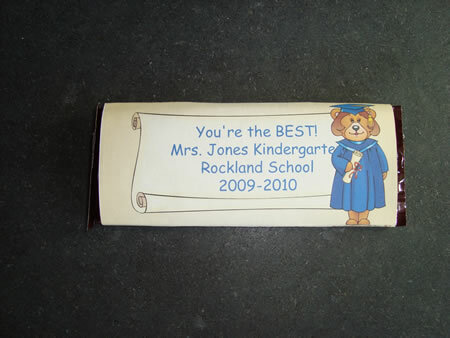 If you were a candy bar, what would you be? What is the theme song for your life? What book character would you like to change places with? If you found $100, what would you buy? If you could go on a magic carpet ride, where would you go? *You could also use the above statements to make a language experience chart or as writing prompts. This is a "rerun" of a blog I did last May, but some of you may not have seen it or may not remember it. You know how kids LOVE to make necklaces and things they can wear, so this is a perfect way to recall the year and give them something to treasure. Thanks to Keta Turner from DeWitt Elementary in Arkansas for sharing this idea. Let children string the following beads on a cord as you review the school year. P.S. We do not go to school in the month of June, but I thought June could be a clear bead: "Clearly" you worked hard this year. Note! Some of you might not do holidays, but you could tie this necklace in with seasons (orange for leaves turning colors or pink for the blossoms on the trees) or units of study (red for the field trip to the fire station or green for the seeds we planted). Brad McKinney (Kindergarten Teacher at Severn Elementary) emailed this idea to me. I LOVE it!!! What a perfect way to end the school year! Believe it or not, the school year is quickly coming to an end. During the last 26 days of school, our class will be participating in an ABC Countdown. Each school day will have a different activity related to the letter for that day. Your child may need to wear or bring something special on some days – those days are underlined. This sheet will help you and your child remember what day of the countdown we are on. Everybody dress like Mr. McKinney and celebrate his birthday!!! Meet your family member at Centennial Park at 11:15 for ABC Hunt on Market St. Wear as much pink as you can and participate in activities based on the book Pinkalicious! THANKS, THANKS, AND THANKS AGAIN! Hershey’s Kisses – and Hugs, too! Pen or Pencil – You were the “write” stuff for us this year! Apple – You’re the “apple” of our eyes. Banana – We are “bananas” for you. Thanks a bunch for all you did! Play Watch – Thanks for giving us such a good time! Lotion – Thanks for your “gentle” helping hand this year. Pack of Flower Seeds – Thanks for helping us grow! Extra Gum – You always went that extra mile. Thanks! Box of Crayons – Color your summer happy! Pack of Nuts – The children are nuts about you! Thank you! Roll of Tape – Thanks for always sticking in there with us! Ice Cream Cone Coupon – You’re the best scoop! Thanks! Gold Fish - We "O'fishally" thank you! *Hint! Add children’s drawings to all of the above! Keeping children focused and on task this time of year can be a challenge. Here are a few tricks that might help. Teacher says: Is everybody ready? Ready for (reading, math, PE or whatever). Explain that your class will have some “smart signals” that no one else knows. When you say “one”, they should sit quietly. When you say “two,” they need to put their hands in their lap. On “three,” they look at the teacher and show they are ready to learn. *Everybody wants to be smart!!! (number) days left of school this year. (number) days left of school. Book - Write riddles or questions on the front of envelopes. Put the answers on index cards and insert in the envelopes. Hole punch and bind several to make a book. Question – Statement - Put a period on one side and a question mark on the other side. Children hold up the period if the teacher makes a statement. The question mark is held up for a question. Fact – Opinion - Write “fact” on one side and “opinion” on the other side. As the teacher says facts and opinions, the children respond by holding up their envelope. Pull and Read - Cut the left end off the envelope. Write children’s names on 9 ½” sentence strips. Glue their picture on the right side. Pull out one letter at a time for children to predict whose name it could be. Word Puzzles - Write words (or children’s names) on the front of an envelope. Write the same word on a sentence strip and cut between the letters to make a puzzle. Place the letters in the envelope for the children to put together. I Have – Who Has? - Write letters of the alphabet on envelope puppets and pass them out to the class. The child who has “A” stands and says, “I have A. Who has B?” The child with the “B” stands as says, “I have B. Who has C? and so forth. Yes – No - Write “yes” on one side of the envelope and “no” on the other side. Ask simple review questions and the children hold up “yes” or “no” to answer. Book Mark - Cut a corner off the envelope and use it as a bookmark. Bracelet - Cut a strip off the envelope to make a cuff bracelet. There’s more to an envelope than just a place to put a letter! Puppet - Cut the envelope in half and insert your hand. Phonics - Write letters on envelopes. Say a variety of words. Children hold up their letter if the word starts with that sound. Shapes - Have children draw shapes on envelopes and then match them up with shapes in the classroom. High Five Words - Write high frequency words on the envelopes. Children walk around the room reading words as they give a “high five” to their friends. I must admit, I really didn’t “get” the Little Prince until I was an adult. These quotes touched my heart, as I hope they will speak to you today. It's interesting that Antoine de Saint-Exupery wrote this book 1n the 1940's, but the message rings clear in 2014! We early childhood educators remember, and we fight the battle to preserve childhood every day! We’ve all known a few creepy caterpillars who have turned into beautiful butterflies in our classrooms - and flown away! Education decision makers certainly like figures, don’t they? They forget to find out if the children know how to get along with others. Do they like school? What’s their favorite song? What games do they like to play? And as children grow and move on in school, I hope they will remember us as the stars. And when they think of us, they will hear a song and laugh! My mother's birthday is this week, and I still hear her song, and remember, and smile! Here are a few new ideas for you from Detroit and Indianapolis. Get flavored chap stick from the Dollar Store. When the children answer questions correctly, the teacher gives them a “smart dot” on their hand. It smells yummy and the kids love it. Color code the keyboard (blue for consonants and yellow for vowels) and laminate. Use laminated sheets of word wall words with boxes next to each word. The kids “type” out words and then check it off once they spell it. *Instead of just waiting in line, play-follow-the leader. But everyone must stay in the line to know what to do. Check out the storybots videos – one for each letter of the alphabet. You will need a large square box. Tape a sheet protector on all six sides. Insert letters, shapes, or whatever content you’re learning in the sheet protectors. Students roll the die and identify the information on the top before they go to choice time/interest areas. Buy 2 colored dry erase giant Styrofoam dice at the Dollar Tree. Cover the dots on each side with high frequency words. Children play with a partner taking turns rolling the die and writing and reading the word in the appropriate square. The first person to reach the top for one word wins. I don't know if you've been to this website, but they have some fantastic FREE materials including these "Roll and Color" sheets. Hey, why make it when you can download it? ?